Would you love people in your organization to be internally and externally engaged, working enthusiastically together towards a shared vision while using their unique talents and skills to contribute to success? If you would then join us for another fascinating and thought-provoking interview. 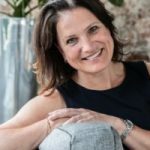 My guest Roelien Bokxem is co-founder and principal of PresenceAtWork, a collective leadership development company based in the Netherlands. She offers a clear and tested road map to transform organisations by implementing a new way of leading and co-creating together: systemic, agile and using one’s whole-body intelligence – in head, heart and gut. Join us as we explore Roelien’s fascinating philosophy, inspired by her experiences drawn from the embers of the financial crisis. A roadmap that is helping organisations to wholeheartedly transform not only their behaviour but also their performance. Roelien Bokxem is co-founder & principal of PresenceAtWork, a collective leadership development company based in the Netherlands. She offers a clear & tested road map to transform organisations through implementing a new way of leading & co-creating together: systemic, agile & using one’s whole-body intelligence – in head, heart & gut. Prior to forming PresenceAtWork, Roelien’s professional career spanned positions in international business development, corporate communications, HR & various business units within Fortis, a large bank–insurer, which collapsed in 2008 leading up to the global financial crises in Europe. It was in the aftermath of these turbulent times that the remainders of what once was Fortis, provided Roelien with fruitful soil to design & implement something totally new. Through PresenceAtWork, she leverages 12 years of experience as a certified coach & experiential facilitator, combined with leading-edge research & insights into embodied & systemic leadership.